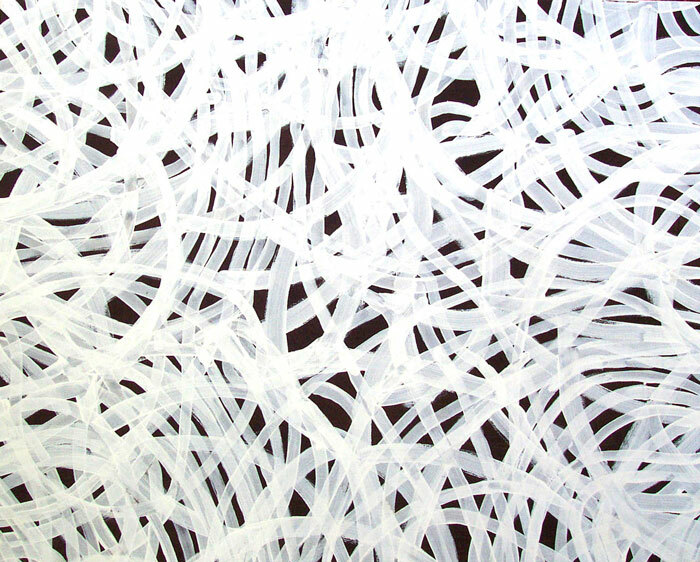 The growth pattern of the wild yam, was a recurring element in the works of Emily Kame Kngwarreye. Emily’s middle name Kame is taken from the yam dreaming site at Alhalkere. Emily’s yam story can be found in the energetic marks of her paintings as an underlying grid. The flowing lines represent the growth pattern of the yams lying under the desert earth.